Some, more forward-thinking sports teams have realized that fan engagement plays a crucial role in their growth strategy and that there is much more to it than what’s happening during match day. There are four other fan engagement strategies, all tied together by a fully integrated fan engagement platform. 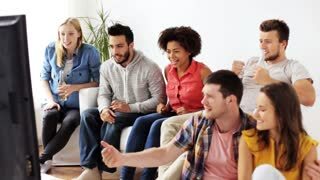 Sports fans are tribal, and they want to communicate with their fellow fans almost as much as they do with the team, itself. Facilitating those connections is a sound fan engagement strategy. Behind-the-scenes experiences with the help of virtual and augmented reality (VR and AR,) as well as 360-degree video are a great example of fan-team connectivity. It is how the New England Patriots do it with their “Travel Inside the Game” initiative. Fantasy football and other such eSports are a great way to connect fans. As sports clubs grow, so does the fan base. But as it so happens, not everyone can attend the matches, mostly because of geographical distances. But as VR technologies continue to develop, it is possible to make these fans feel like they’re on the pitch, from the comfort of their own homes. Empty stands can and will result in a flat atmosphere, even for those watching at home. Improving the live experience and drawing in the crowds, is and will continue to remain an essential factor. AR/VR technologies like MLB At Bat app is one example of bringing people back to the stadium. On-location free Wi-Fi is a given. More sports teams recognize the importance of having a fully-integrated digital platform where they can stay connected with their fans and have fun and interactive activities happening 24/7, 365 days per year. The best such platforms, like Fanisko Engage, will integrate operations from all the four fan engagement strategies mentioned above. With the staggering amount of sports content available, as well as the overwhelming number of channels where fans can interact with their teams, it’s next to impossible to keep track of and provide any cohesive fan experience. But with an SDK integrated platform like Fanisko Engage, every sports team can. If your team doesn’t have its mobile app, Fanisko creates it. You can check out our website for more information about what it means to have an integrated fan engagement platform. As a software development kit (SDK), Fanisko can either enhance a team’s already-existing app or develop one from scratch. 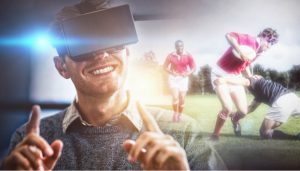 This platform powers the first ever Mixed Reality fan experience by combining augmented reality (AR) for gamification with AI for personalization, thus, allowing sports teams to connect with their fans wherever they are. With over 66% of sports fans going online at least once per day to check out the most recent developments about their favorite team, it should come as no surprise to anyone that digital engagement with the fans is becoming increasingly more popular with every passing day. This trend, however, presents both a significant opportunity as well as a severe challenge for sports clubs and teams to engage with their fans in an ever more content-saturated environment such as the internet. 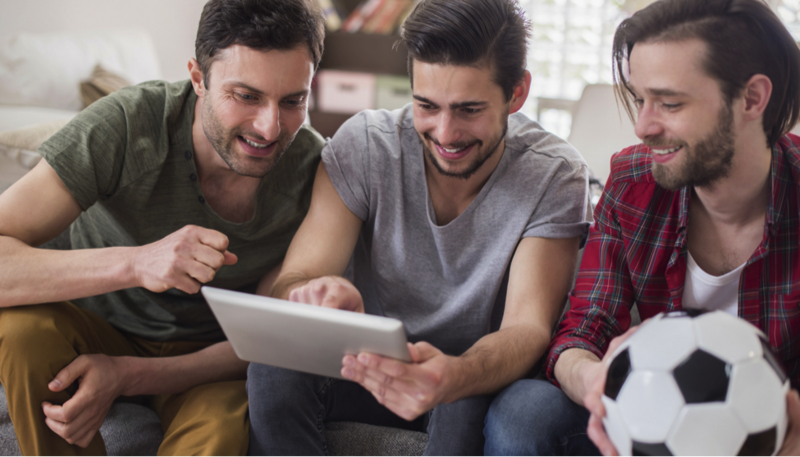 Here are the latest trends that will influence the digital fan engagement in the foreseeable future. With the internet quickly becoming the preferred source to follow up on sports news, fans can keep up with their team’s activities whenever their heart desires. The internet brings a ton of bite-sized content such as instant replays, highlights, or behind-the-scenes previews, found on all sorts of social media platforms such as Facebook, Instagram, YouTube, Twitter, or Snapchat. For all the marketing benefits that this fragmented content brings, sports clubs have a tough time engaging with their fans. Even if some sports teams have their mobile apps, many fans prefer to keep themselves up to date by making use of the previously-mentioned social platforms. Fanisko Engage, on the other hand, can help sports clubs get back in touch with their fanbase by funneling all of this content on the platform. In the Kleiner Perkins Internet Report 2017, it was highlighted that eSports are gaining more and more ground over traditional sports. In fact, 27% of Millennials said that they have a ‘significant preference’ for eSports, 13% slightly prefer it, as opposed to 27% who strongly favor and 15% who only slightly prefer traditional games. The remainder of 18% is comprised of millennials who have no inclination either way. These percentages come in comparison to non-Millennials who noted that 45% prefer traditional sports and only 13% strongly favoring eSports. Of this group, the remaining 20% were indifferent, 13% had a slight inclination towards eSports while 11% said they slightly prefered traditional sports. This trend comes at a time when McDonald’s, a Worldwide TOP Olympic Partner since 1976, has ended its deal with the International Olympic Committee (IOC) ahead of time. It was also in 2017 when McDonalds Australia partnered up with Blizzard to sponsor their Starcraft II World Championship Series. Vodafone Spain, on the other hand, launched its own Twitch Channel to live stream esports gameplay and other gaming news. With the internet, many sports leagues have seen a surge in the size of their overall the size of their overall fanbase. Nevertheless, most of these fans will never physically attend a match only because of their geographical location. It is why certain sports teams such as Manchester United, have decided to partner up with regional sponsors, in an attempt at reaching to their ever-growing international fanbase. Manchester United is the most dominant football team online in China. The Bundesliga and the English Premier League are the first two soccer leagues concerning popularity in the world, quickly followed by the Spanish La Liga. The last one, however, has since opened several permanent offices in the APAC region to counter this shortcoming and outpace the others regarding fan engagement. These trends presented will become increasingly more transparent and widespread as time goes on. Other such macro-trends will also present themselves in the upcoming years as new technologies will be reshaping the sports industry like never before. 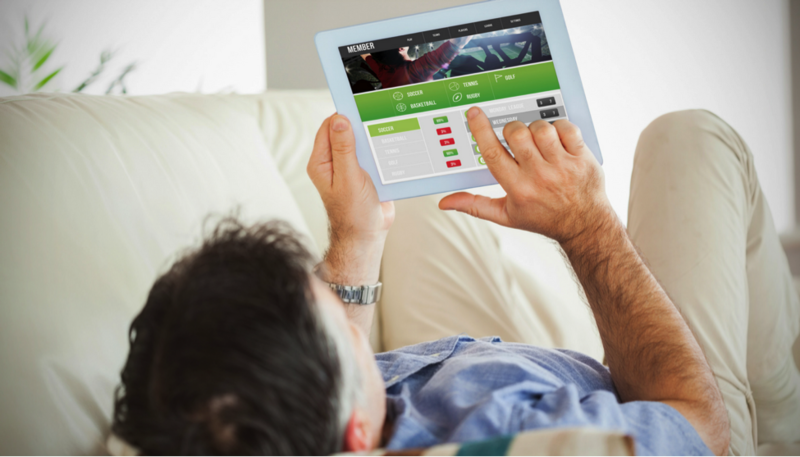 Fantasy sports are a common online activity that can combine both the traditional fan base and various interactive components to enhance the overall sporting experience. Fantasy sports are a common online activity that can combine both the traditional fan base and various interactive components to enhance the overall sporting experience. In a study published in the Journal of Sports Management, in 2011, it was revealed that this player-specific activity has a positive influence on the overall team loyalty of those involved. It shouldn’t come as a surprise, then, that the number of fantasy sports players in the US has seen a steep rise from 18 million in 2006 to over 59.3 million in 2017. If in 2012, players were spending over the course of one year roughly $5 and $60 onDaily and Traditional Fantasy Sports, respectively, and in 2016; those sums reached $318 and $184. With that being said, many leagues and clubs have identified fantasy sports as an incremental tool for generating fan engagement. As the number of fantasy sports is continuing to grow, the obvious next step for sports leagues would be to make a seamless connection between themselves and these fantasy gamers. To make this happen, however, a compelling fan engagement platform is required, that can bring both elements together. One such platform shouldn’t focus just on fantasy sports, per se, but on other entertainment and educational elements as well. This way, both avid fantasy gamers and traditional sports fans who want to stay updated, can be serviced equally. When it comes to fantasy sports gamers, in particular, one such engagement platform is beneficial as it can feature all sorts of relevant news, upcoming players, and various other team events that help gamers stay updated during matches. It also aids them in their decision-making during fantasy games, enhancing their overall knowledge. As for those who are not particularly interested in fantasy sports, one such platform offers them all sorts of other entertainment, socialization channels, and information hubs. One such all-encompassing platform will be able to provide predictor media, game highlights, short videos, photos about the teams, both on the field and off it, as well as all sorts of other fragmented content that would be hard to reach otherwise. To make things even more pleasurable and engaging, such platforms can be reward-based where users can be awarded points or various perks that can give them an even broader sense of involvement. Fanisko Engage is one such platform. It should be somewhat obvious how fantasy sports, and by extension, the engagement platform that facilitates them, can benefit sports teams and leagues. 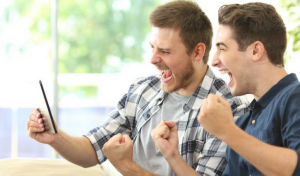 Fantasy sports offer a way through which fans can feel more connected and more as an active member of the team, while the engagement platform itself provides a one-stop shop that caters to all their sporting needs. Sports fans do have access to this sports-related entertainment even without the use of these platforms. Nevertheless, it is often spread over a large number of social media outlets and various websites where sports clubs have no power to capitalize or engage with their fans. With Fanisko Engage, however, both fantasy sports gamers, as well as their teams, can now congregate on a more personal level. It offers the fans all that they require keeping themselves updated and entertained, while the teams can stay in constant contact and understand their fans even better.